Google has surprises for residents of Austin, Kansas City & Provo Texas. It is offering a free basic version of its broadband service to these cities. 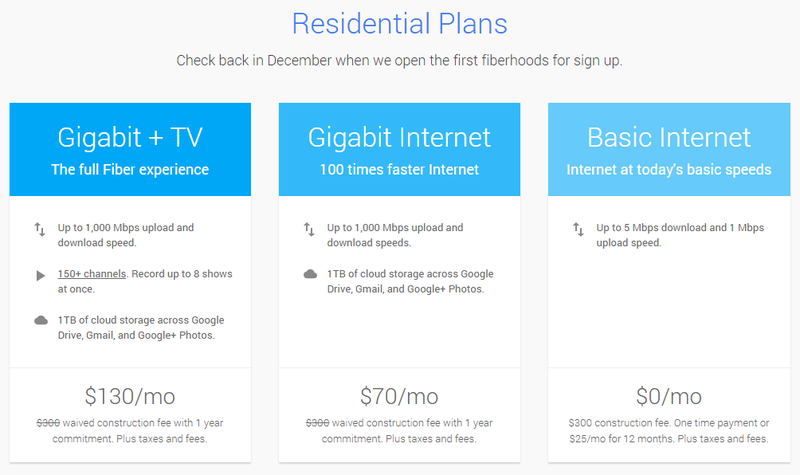 Google fiber team revealed its pricing for its coming soon Fiber services. It is reported that it will offer 1Gbps service priced at $70 per month and 1Gbps plus TV for $130. The basic plan comes with a one-time $300 construction fee, but there is no monthly charges afterward. There is an option of paying $25 a month for one year and then receive free Internet for all the following years. It will provide download speeds up to five megabits per second and upload speeds of one megabit per second. People signing up for the mid-tier plan and the upper-tier plan will have the $300 construction fee waived as long as they commit to one full year. For $70 a month, users will receive up to 1,000 megabits per second upload and download speeds and 1TB of cloud storage across Google Drive, Gmail and Google+ photos. For $130 a month, users receive 150-plus TV channels and the ability to record eight shows at once in addition to up to 1,000 megabits per second upload and download speeds and 1TB of cloud storage across Google Drive, Gmail and Google+ photos. 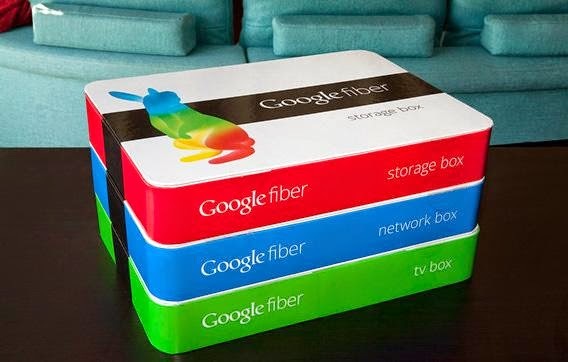 In future, the company has plans to expand its Google Fiber community across the country with increasing Internet speeds. With high speed fiber-optic networks it will provide better connectivity for millions of Americans as of now. 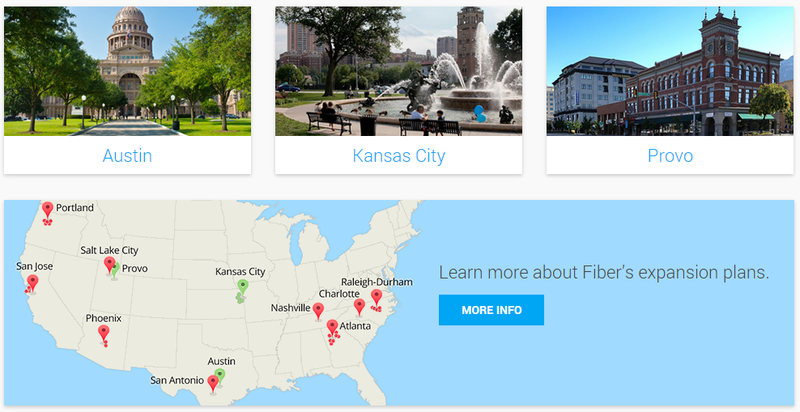 Google fiber service is available in Kansas City and Provo, Utah. The company has plans to expand Fiber to Phoenix, Arizona and Nashville, Tennessee in near future.